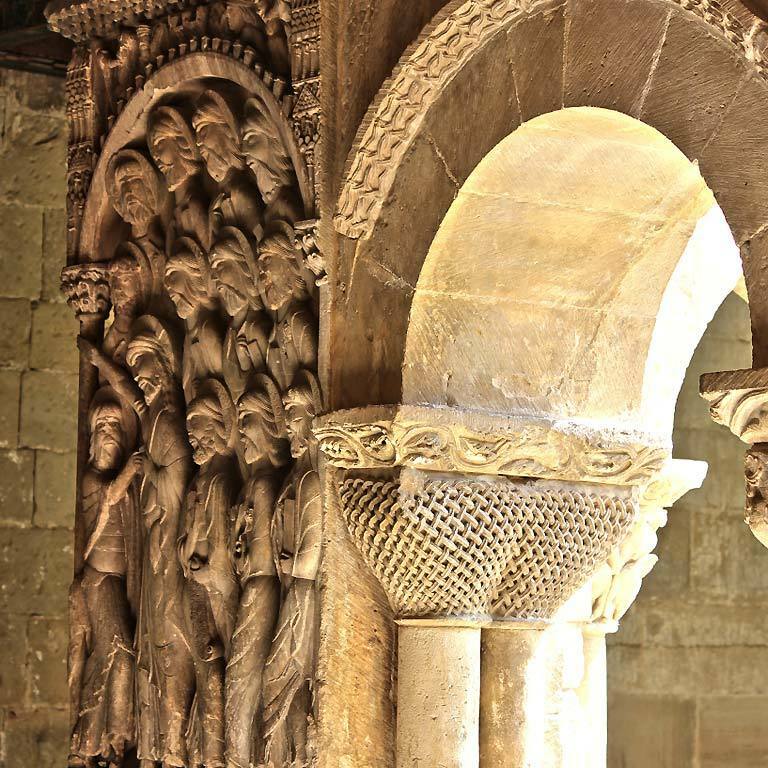 The monastery of Santo Domingo de Silos is worldwide known for the Gregorian chant of its monks -to whom you can listen in its religious services- and for its Romanesque cloister, from the 11th and 12th centuries, authentic masterpiece of medieval art European, carved in stone. 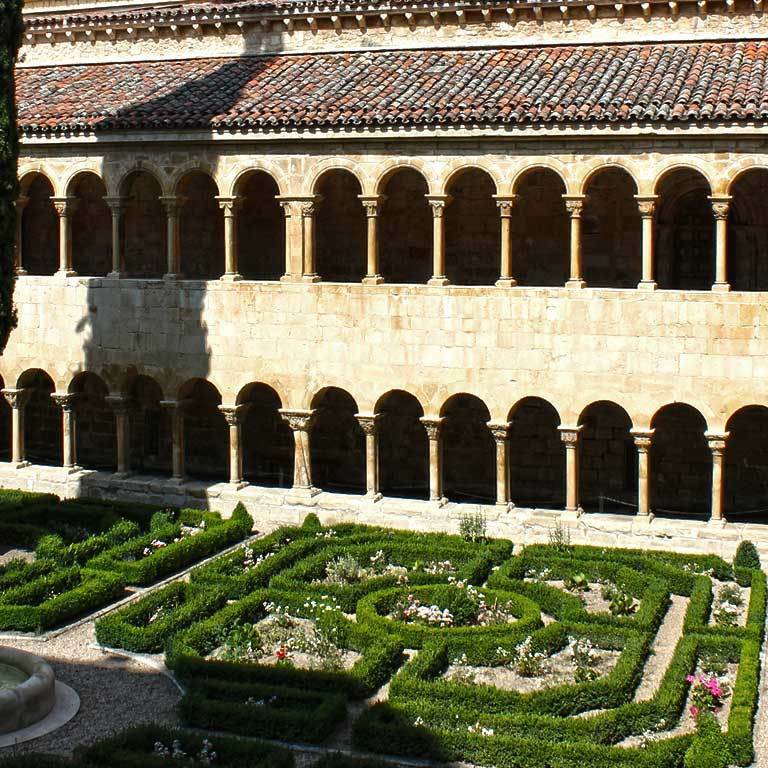 The cloister has a quadrilateral shape with slightly unequal sides - two flanks have 16 arches, 14 the other two- and double floor. 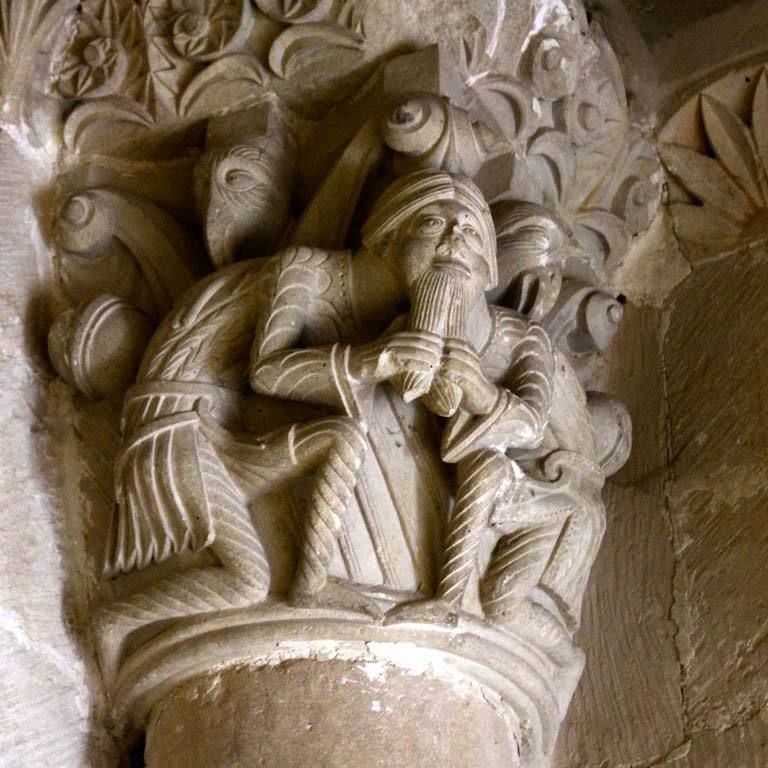 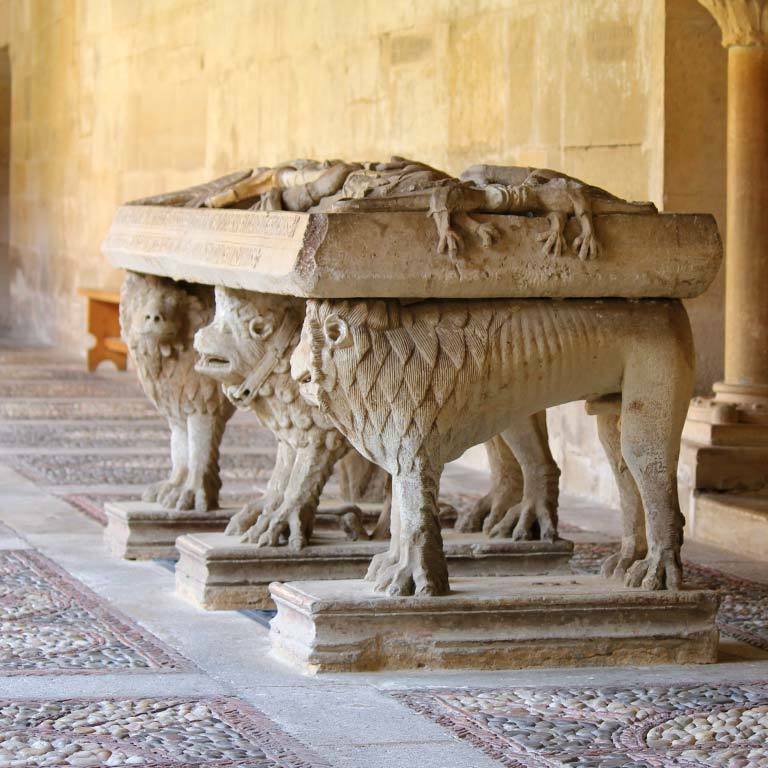 The capitals in the lower cloister are profusely decorated with symbols such as dragons, centaurs, lattices, mermaids, etc. 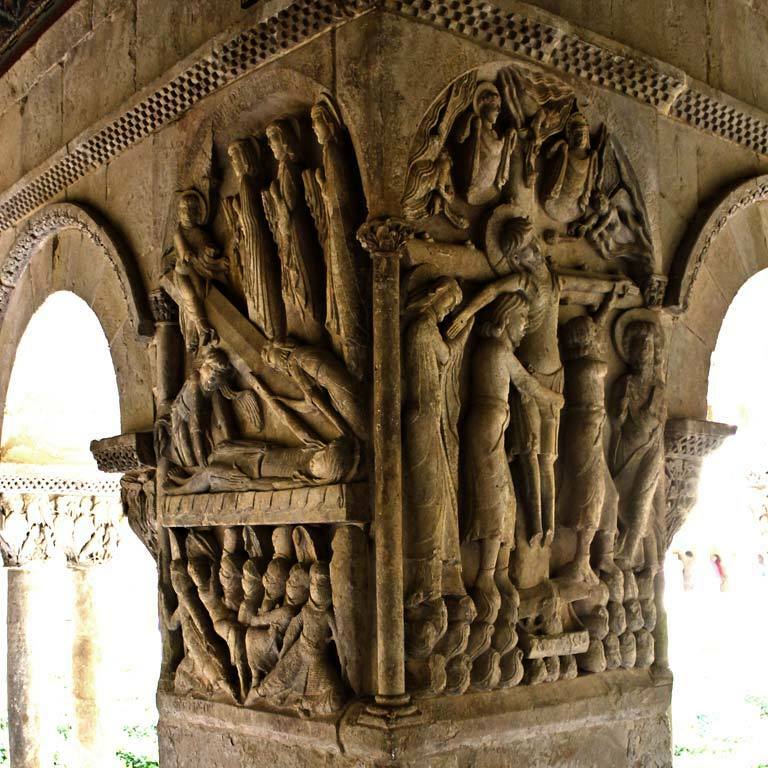 The corners of the cloister are decorated with large reliefs depicting scenes from the life of Christ. 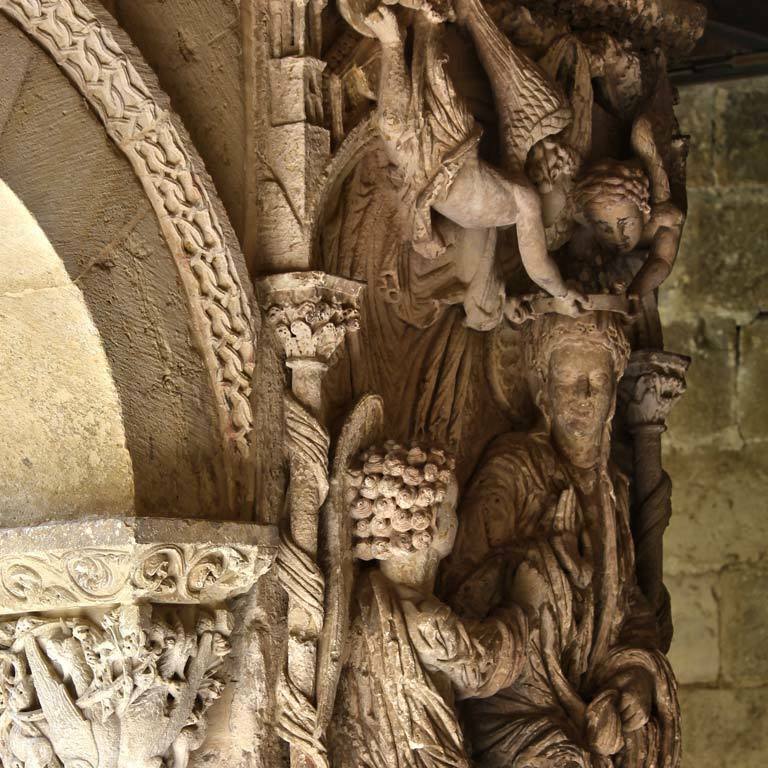 The Door of the Virgins, which connects the cloister with the church, is the only vestige of the ancient Romanesque temple that has reached our days. 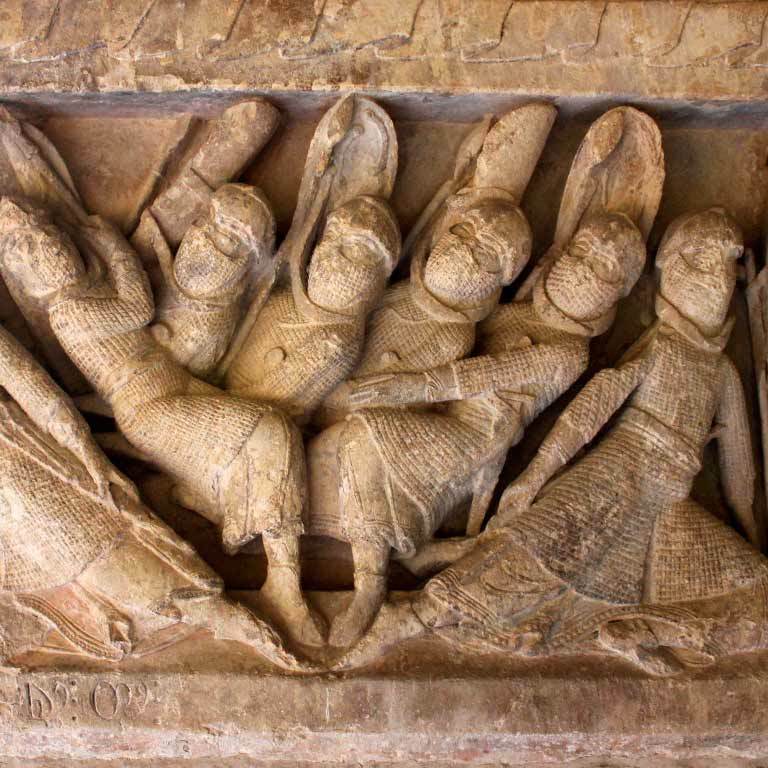 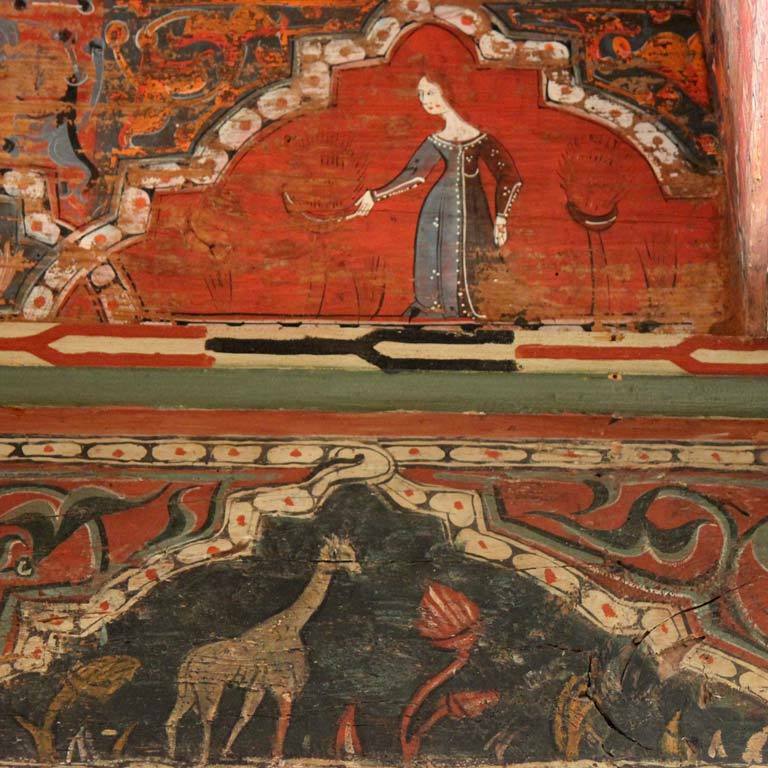 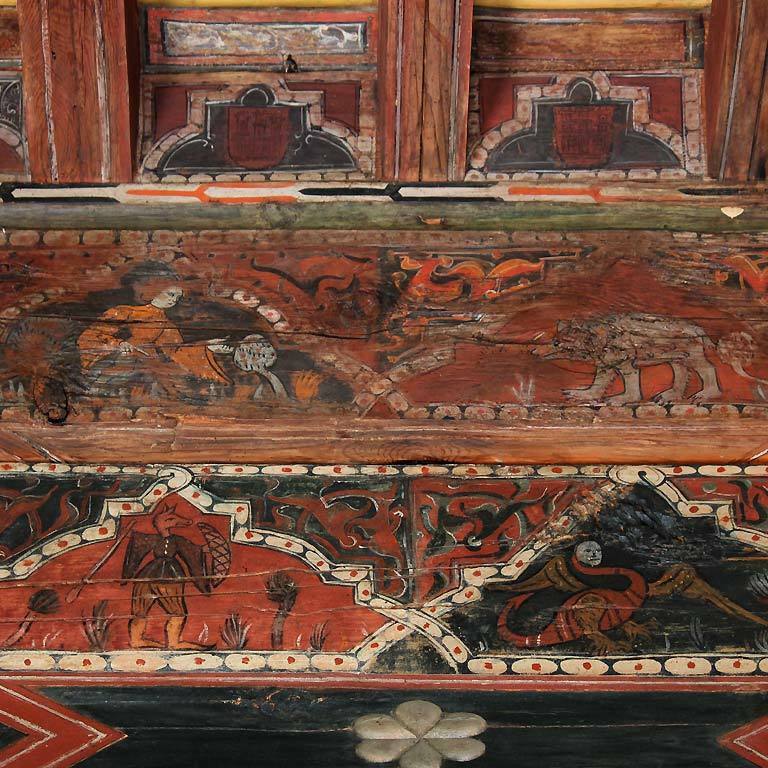 It is also of special relevance the Mudejar coffered ceiling richly decorated with about 700 figures and scenes of the Castilla of the 14th and 15th centuries. 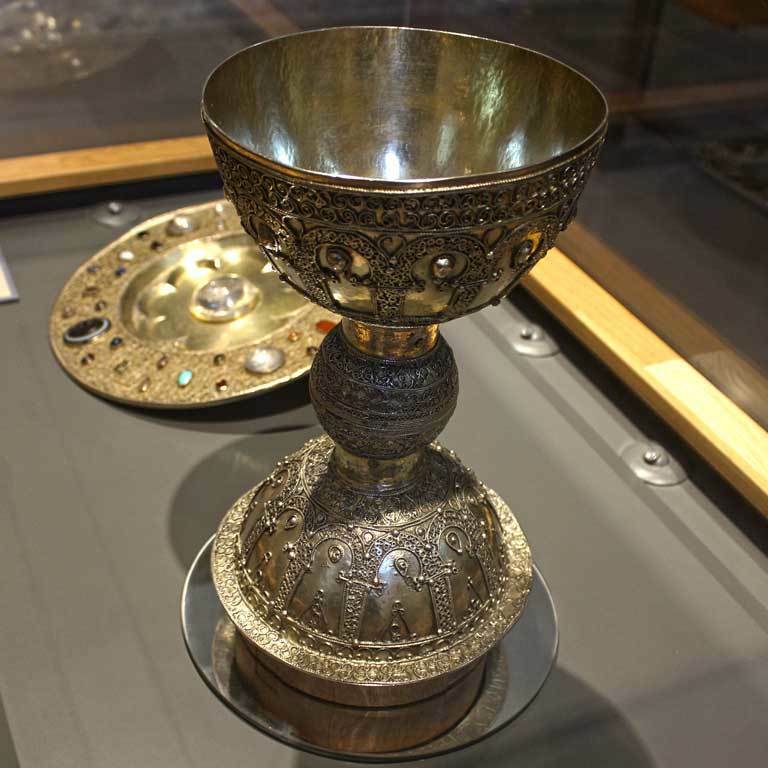 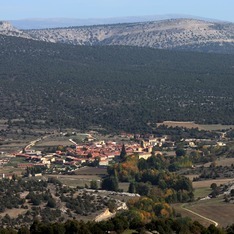 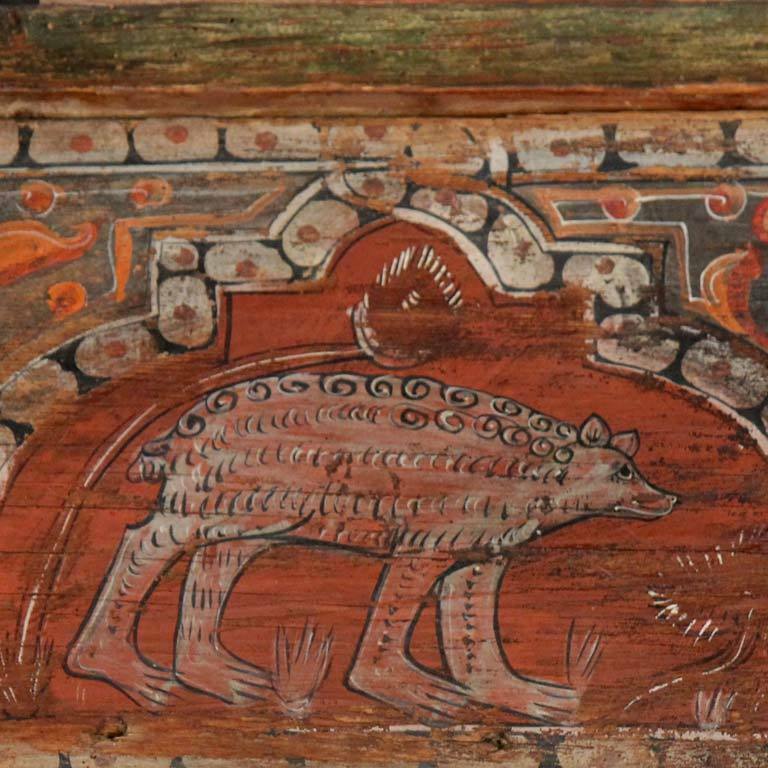 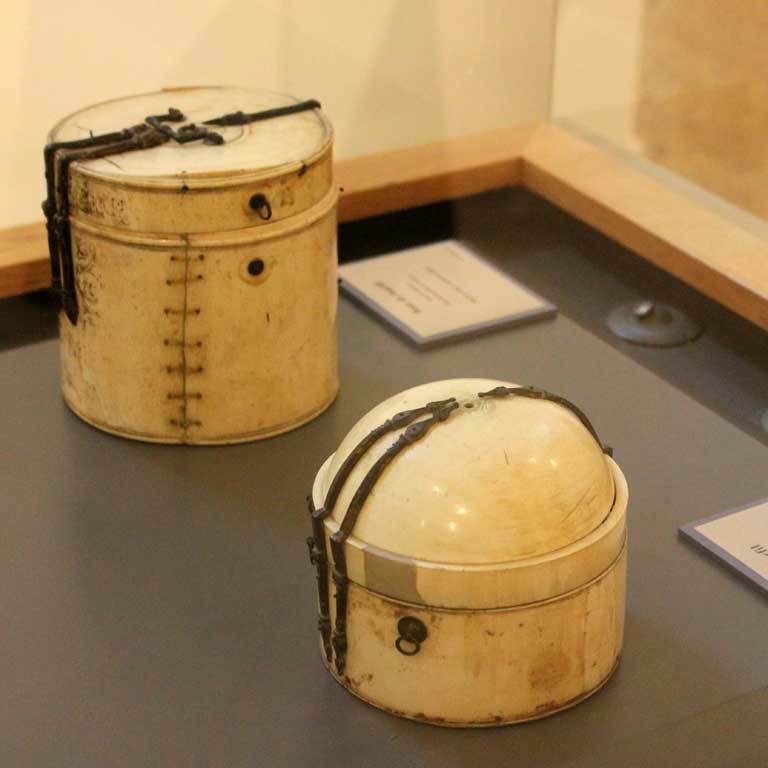 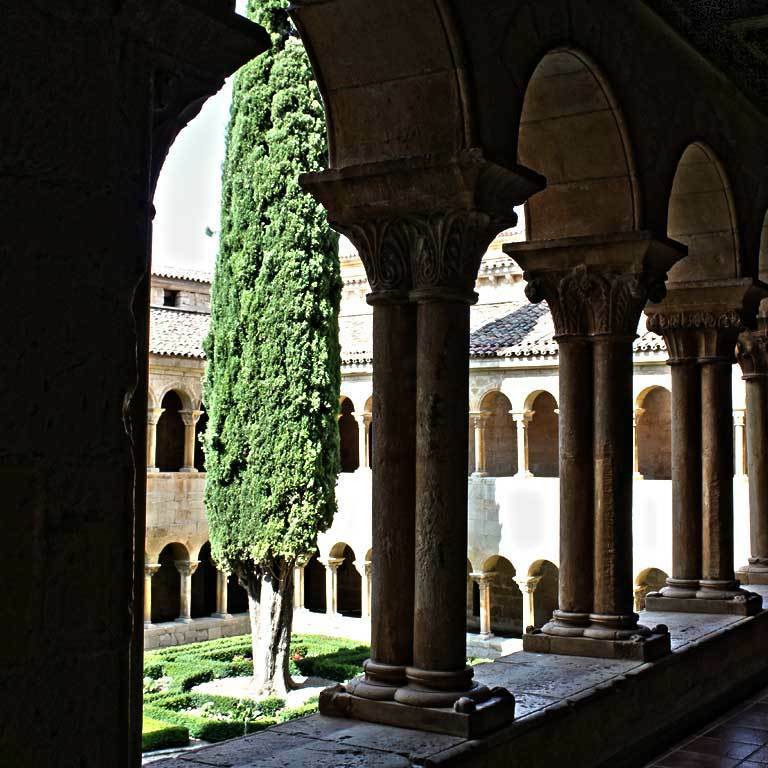 The monastery also has an important archive containing fragments from the 10th century Beatus, a page from the Oña Bible, other fragments of Visigoth manuscripts, and musical fragments from some twenty codices in Aquitaine notation. 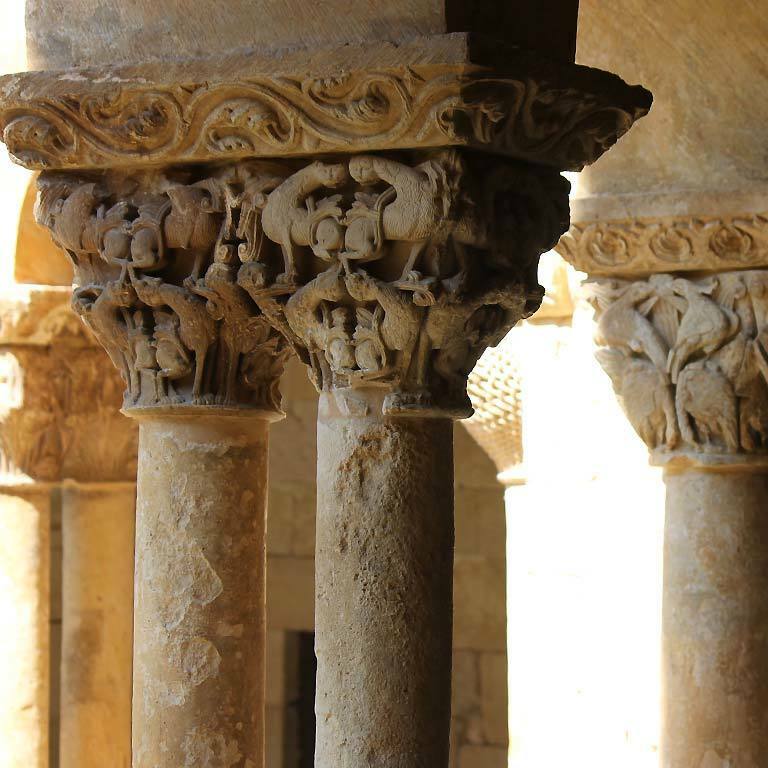 The splendor of Silos, in the XI-XIII centuries, was due in large part to its abbot Domingo, who around the year 1000 rebuilt the monastery, which over time would become a great spiritual, cultural and artistic center. 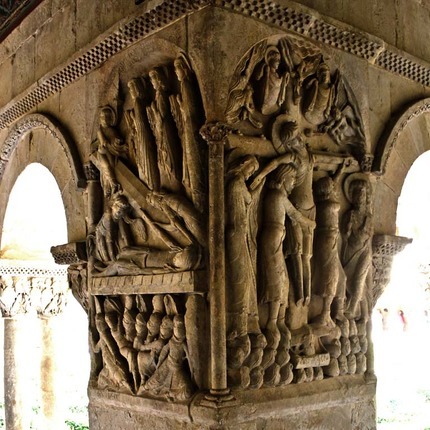 In 1081, the year in which the Cid was banished, his famous Romanesque cloister was being built. 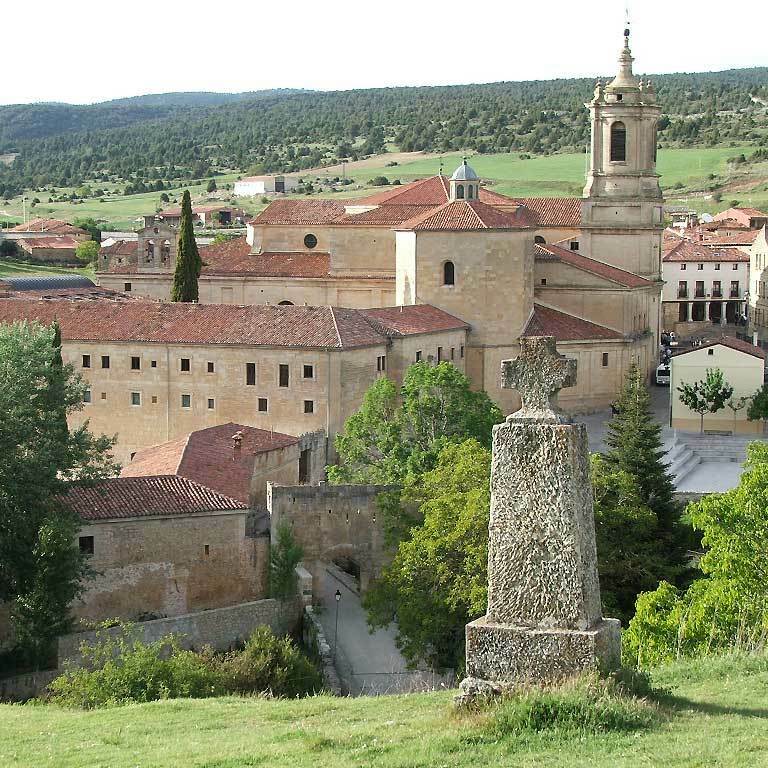 On May 12, 1076, Rodrigo and Jimena donated half of the villages of Peñacoba and Fresnosa to the monastery and to its abbot Fortún. 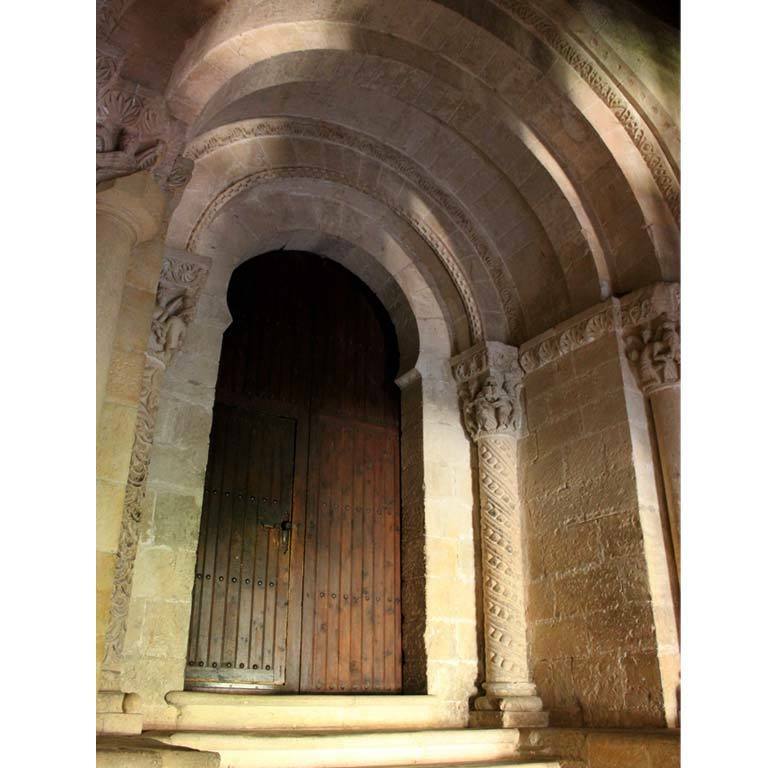 Visit: With entrance, check schedules and prices at the Benedictine Abbey of Santo Domingo de Silos.